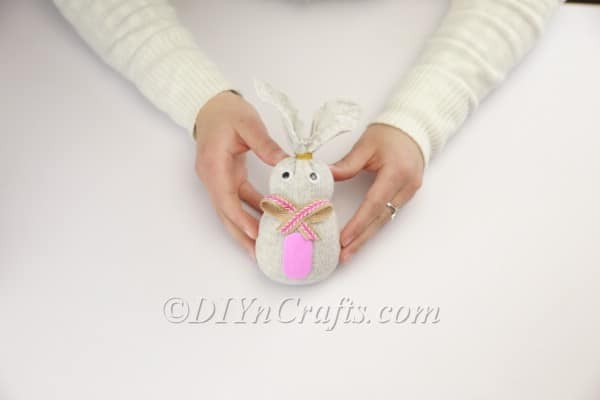 If you want a simple and fast way to make a cute Easter bunny which is perfect for decor or gift-giving, this video tutorial is for you. 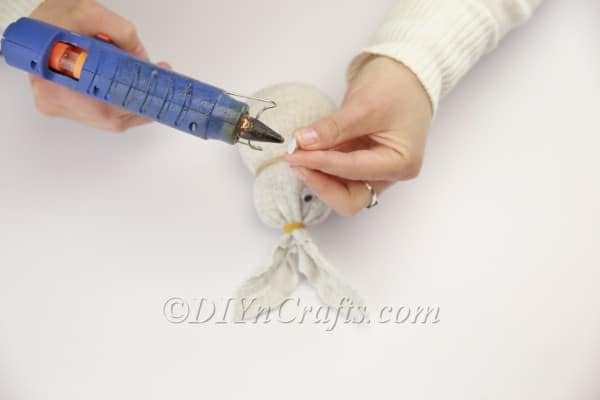 You are going to be taking an ordinary old sock and turning it into an adorable bunny. 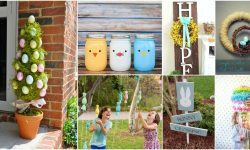 There are some materials you will need to stock up on for this easy Easter craft, but they are all basic, cheap, and easy to come by. 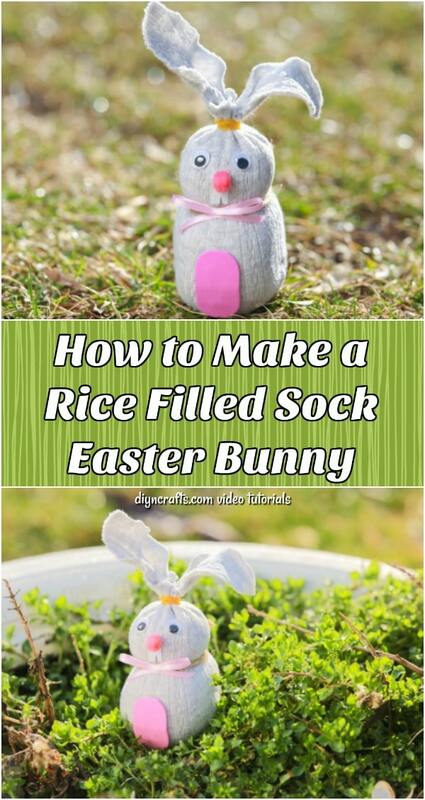 For this version of our sock Easter bunny, we will be using rice for filling. 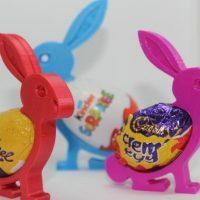 This project is an ideal choice particularly if you plan to set your Easter bunny out to display somewhere, since rice is heavy and anchors your bunny well, providing stability. If you prefer, however, you can choose other fillings. For example, if you want the sock bunny to be more cuddly (as a gift for a child, for instance), you could put in cotton filling instead so that it is a plushie. 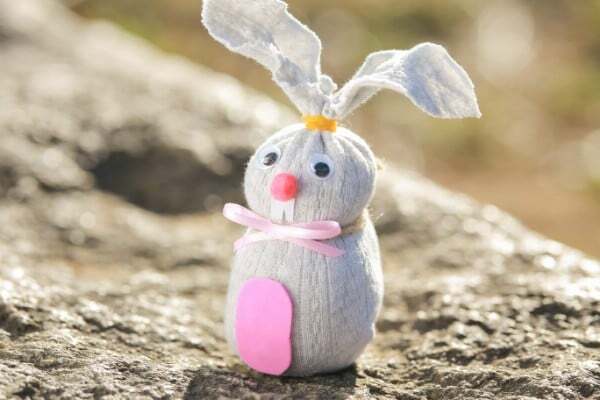 If you are ready to get started, you can find the full list of materials and tools to make your sock Easter bunny below. There are written instructions to go with the video. 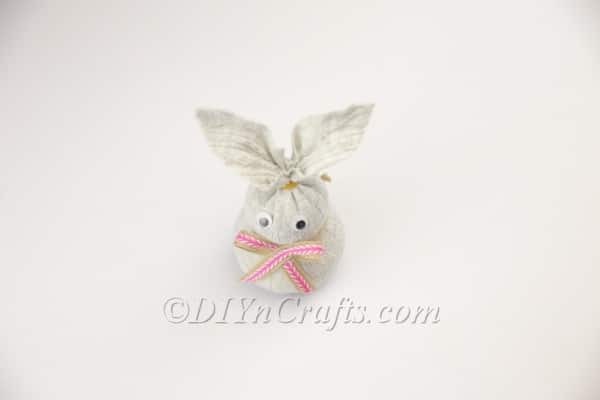 What’s the easiest way to make a cute Easter bunny? 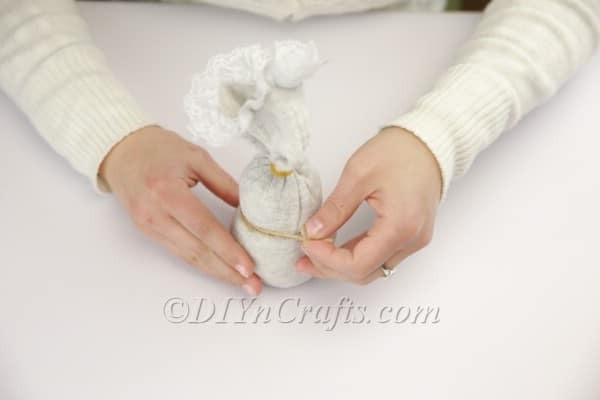 By using an old sock! 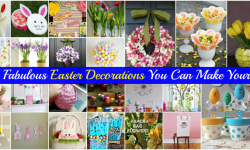 Learn how to do it in our newest fast and easy Easter craft tutorial video. 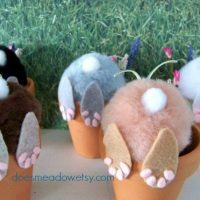 These sock bunnies make adorable décor or lovable gifts. 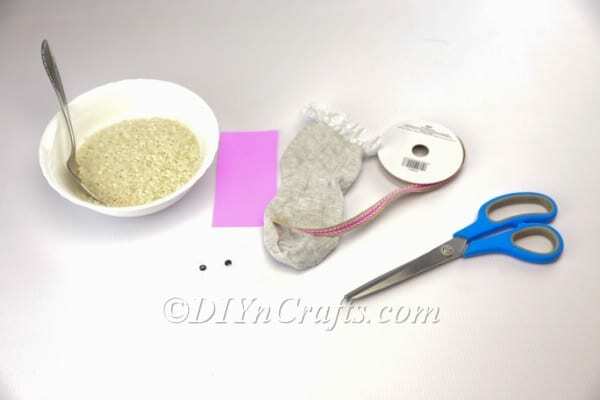 To get started, you need to grab an old sock you no longer need, and pour some rice inside to create the body of the bunny. Leaving enough room for the head, tie a piece of twine around the sock. Pour in some more rice to make the bunny’s head. Tie it off above either with another piece of twine, or with a rubber band. I recommend the rubber band so that you get it nice and snug. This will stop rice from leaking out later. A bit of your sock should still be protruding out from the top above the rubber band. I had some lace on the end of mine, which I decided to cut off (though there might’ve been a way to make it work—I’m not sure). Cut the top part of the sock into the shapes of two bunny ears. Take your time with this step so that you do not remove more material than you mean to. Hot glue on a pair of googly eyes. 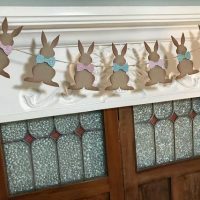 Attach a bow to the front of the bunny at the neck. 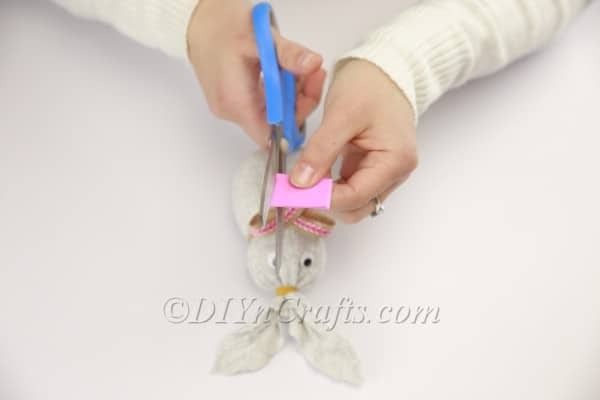 Use a pair of scissors to cut out an oval shape from a sheet of pink foam, and attach that to the front of the bunny's body. 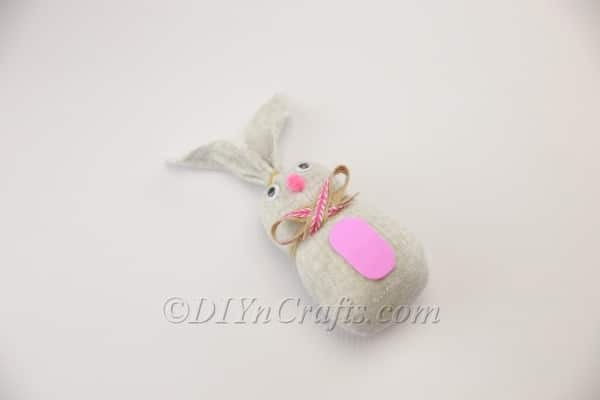 The pink pom pom will be the bunny’s nose. Glue it onto the middle of the face below the eyes. Cut out a small white rectangle from a white foam sheet (construction paper or cardboard are fine as well) as the bunny's teeth. Attach this right below the bunny’s nose. 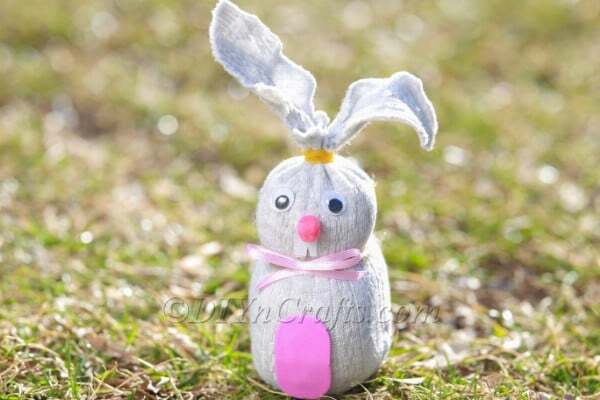 You have now finished making a cute Easter bunny out of an old sock! And that old sock has never looked better, amirite? 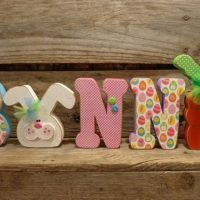 My favorite Etsy bunny items! 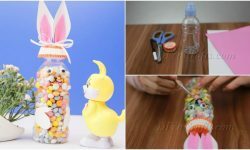 Who would have thought that you could create something so cute in just a matter of minutes using stuff that you probably already mostly had laying around the house? 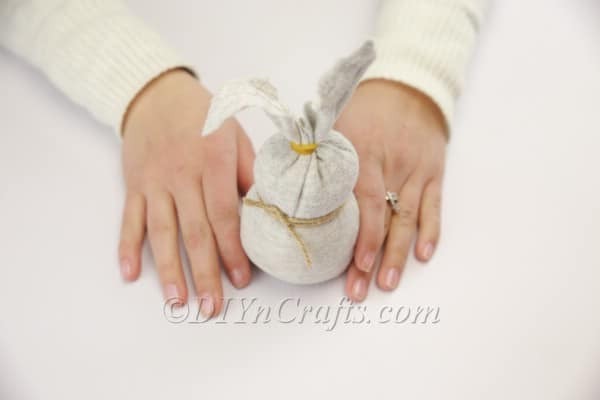 There are a lot of simple variations on this project which you can also try using different materials. For example, you could use buttons for the eyes. 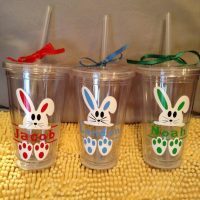 This would give the finished bunny a more rustic look. A button would also work for a nose in place of the pom pom. 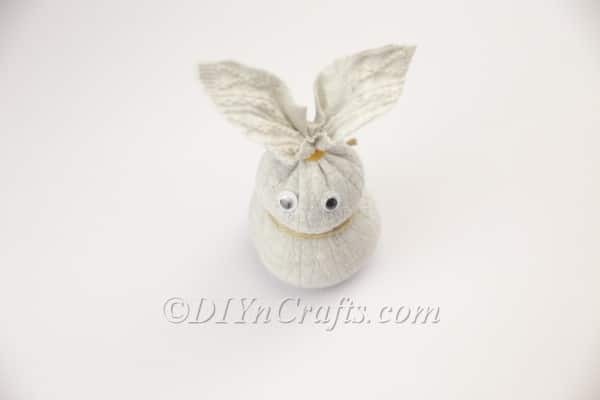 As I mentioned, there are so many things you can do with an adorable sock bunny once you have one. 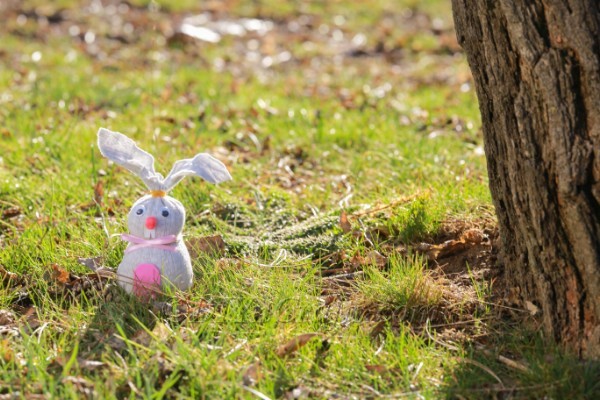 This bunny would look great on a shelf or can be a nice gift for a child. 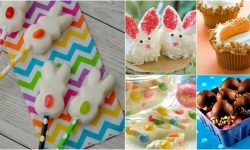 It is something that can be enjoyed year-round, not just on Easter. 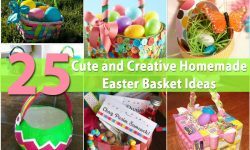 If you’re looking for more Easter bunny-themed crafts to try this holiday season, I have many other video tutorials for you to explore. To start, try making an Easter bunny out of a repurposed planter. 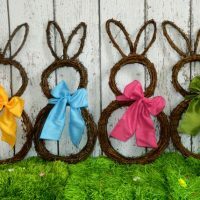 You also can learn how to make an Easter bunny out of a clothespin. And be sure to try making an Easter bunny out of a small towel. If you have other old socks which you don’t know what to do with, you also can find other projects on our site to put those socks to good use. 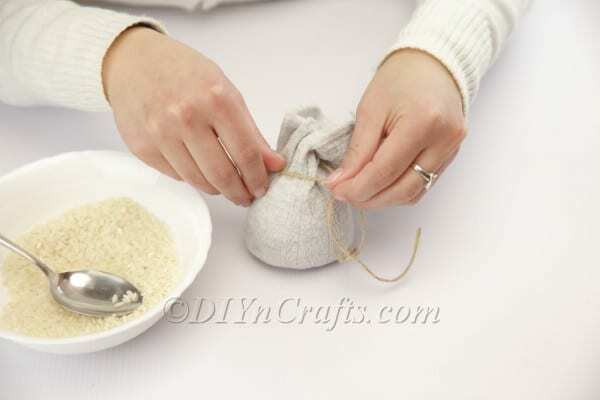 One project which is very similar to this one which you may want to try during the Christmas season is this one to create a Scandinavian gnome with a sock full of rice. 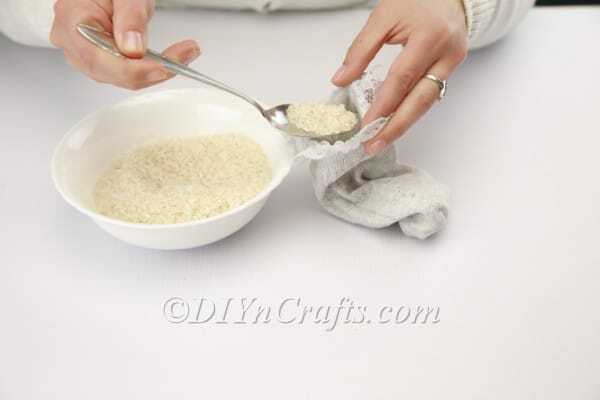 Also, take a look at 30 brilliantly frugal ways to make use of old mismatched socks. 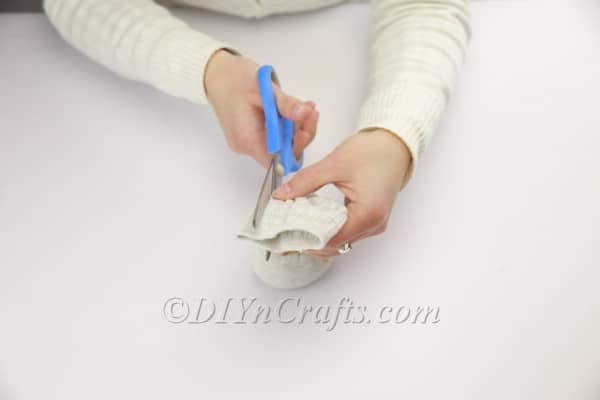 Check back again soon as we are always adding new craft projects and tutorials here on DIYnCrafts. 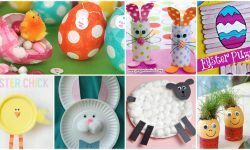 Happy Easter, and happy crafting!